Another successful week, of human right violations, for the South African police. Countless daggafarians arrested for having dagga in their possession. In Uitenhage, Lonwabo Nyamende was sentenced to a R300 fine or 30 days imprisonment wholly suspended for three years for possession of dagga. 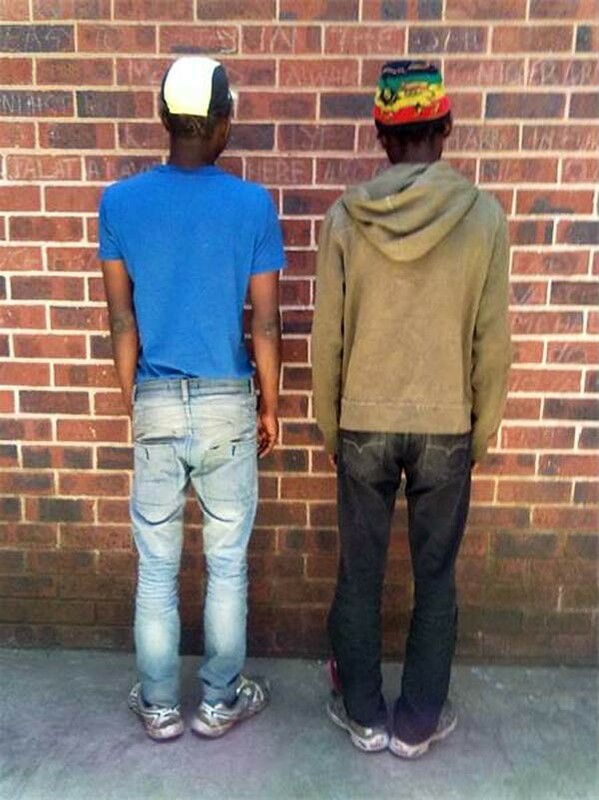 Meanwhile in Primrose police arrested two daggafarians, aged 19 and 21, during a stop-and-search operation in the Marathon informal settlement. The officers noticed the two men acting “abnormally”, they were then stopped and searched. They found dagga on both men and arrested them. They have since appeared in the Germiston Magistrates Court, where the case was postponed for plea and trial. Two daggafarians arrested by Primrose police after officers noticed the two men acting abnormally. Nyanga police cluster in Cape Town searched 77 Houses for “drugs” in an a week long operation between Monday 17th November 2014 until Sunday 23rd November 2014. Goodwood Correctional Services, in Cape Town, have lost count of how many times people have tried to throw dagga over the prison wall. Early on Monday morning two men, aged 27 and 40, were arrested after they were noticed on live CCTV feed trying to throw three bottles full of dagga and 8 arms of dagga in a black plastic over the prison wall. Police spokesperson, Warrant Officer Wayne Theunis said the prison staff noticed movement on the security footage at about 01:30 in the morning “Upon investigation, they found the two” Theunis said. According to Theunis the two men both have served time in Goodwood prison previously. In September a prisoner was found with a large amount of dagga found after doing maintenance work with a staff member of the correctional facility. Jo-ann Christians, communications manager at the Goodwood prison, confirmed the incident. “The suspects were caught red-handed just before they could throw the unauthorized items over the prison wall. The incident was prevented by alert officials, the latest CCTV technology and the support of the South African Police” she said. “These types of incidents are not isolated, because people from the community are constantly trying to throw unauthorized items on the wall even with the intensive security measures, however we have control of the situation.” Christians added. She also stated that they do not know who the recipient of the dagga was, but an investigation is underway. Captain Isaac van Niekerk and Sergeant Andries Binnedel pose over dagga worth R500 000, which was confiscated last week in a house in the suburb of Vredelust in Kuilsrivier, Cape Town. According to Kuilsrivier-police spokesperson Captain Isaac van Niekerk the two foreign women were arrested at around 16:00 after a community member flagged down a patrolling police vehicle and alerted the officers of the dagga. The community member then shared that they have noticed a large sum of dagga being stored at a home in the close.